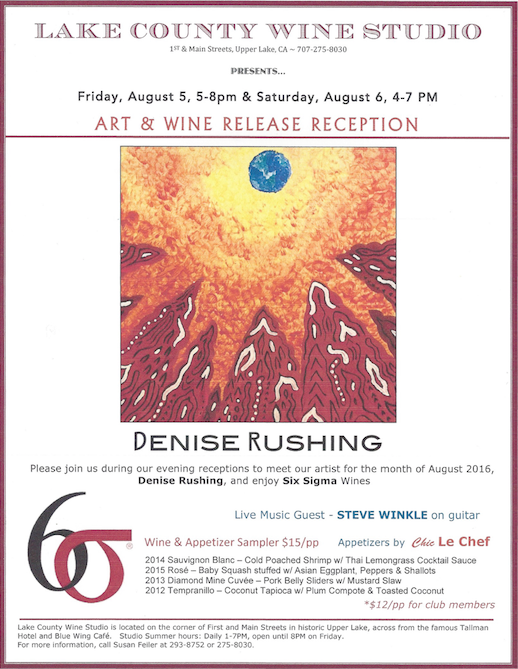 Here is the poster announcing the opening of the Art Show at the Lake County Wine Studio. This painting depicted on the poster is called "View from the Sun"
from the New World View series. Attendance to view the art is FREE. Cost is $15 if you want to sample the wine and food pairings ($12 for ULWS members).